Come ready with your own conversation or conflict you’d like to consider. Join us on Saturday, November 1st from 1-5 pm at the University Christian Church, 4731 15th Ave NE. 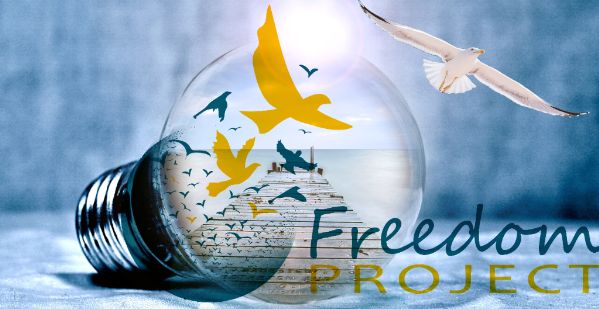 This program is free for active Freedom Project volunteers. There is a $25 participation fee for other attendees. A limited supply of games and books co-authored by Sura Hart, will also be available for purchase. Space in this program is limited, so confirm your reservation as soon as possible. To register (or for further information about either of these programs), you may contact registrar Tim Conbere at SeattleFreedomProject@gmail.com or (206) 325-5678. Sura Hart has been a certified trainer with the International Center for Nonviolent Communication since 1998. With Victoria Kindle Hodson she has co-authored three books for teachers and parents. Sura has given presentations and workshops in Canada, India, Australia, New Zealand, Costa Rica, Russia, Turkey, Germany, and throughout the U.S.
Sura lives in Seattle and volunteers with The Freedom Project. She takes the game into all her workshops, most recently to the women at WCCW. What did you learn in this program that was useful? *I learned to take a step back in whatever it is I am going through and figure out why I am feeling that way and figure out how to resolve the problem/situation in an effective way. *To understand what my needs and feelings are, as well as others. *To be in the moment. *To think before I react, so I can calm down first. *I learned how to look at a situation from the other’s point of view. *That this “method” can really be useful in this facility. *Making sure to stop and be in touch with how you(self before) reacting to situations. *How to use the No Fault Zone game to look at the other person’s needs. *Communication skills, along with getting my needs met. *How to stop and think before I respond. *To not only look at, but better understand, the needs of others. *Reassurance that I know myself and to place myself in others’ shoes and get perspective. *The needs that I have and that others react emotionally, because they have needs. This will help me when I do peer support. *I learned about other people and their feelings.